Ricardo Perez Palacios is one of the great architects of a quiet revolution is taking place in the, so far, Bierzo region quite stagnant. Chelo is the son of Palacios, of the dynasty known Palacios (Remondo) of the Rioja, and this adventure has helped his famous uncle, Alvaro Palacios, well known for its wines of Priorat. Ricardo, 25, whom everyone knows by 'titin', has a long experience in France, Chile and the United States, and the wine have lived since birth, and having visited a lot of great producers of France along with Alvaro. Passionate dedication to the two sides Palacios Bierzo are born, not good Mencia grape wines, but the first great wines of great area, perhaps one day the Priorat northwest. It seems that the idea of ​​Bierzo was already the head of Alvaro Palacios from the time that ran Spain selling barrels for wineries, and has been hibernated until it is time and the right circumstances to start the project, once consolidated the work of a dozen years in Priorat. 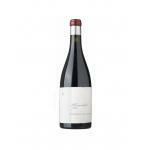 In fact tells us that at first had no doubt between going to develop or Priorat to Bierzo. It was finally decided by the Priorat, and was 10 years later when the idea was revived, but by Ricardo, who when visiting the area, was thrilled with it, reviving the ideas latent in the minds of Alvaro. 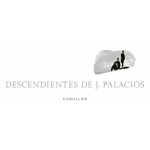 Descendants of J. Palacios is the name of the company that both have been formed in honor of the father and grandfather of Richard Alvaro, who died in 2000. 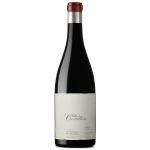 Began developing in 99, and gradually becoming a warehouse, buying small pieces of vine ... They have an old cellar, stone, in Villafranca del Bierzo, which have been restored completely, and Alvaro described as "nice and cozy." Now have two different wines, a more basic, simply called Bierzo, and another a little more special, with the name of Corullón. Corullón is the name of town where the vineyards are located. 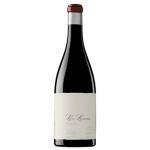 The other wine, Bierzo (could keep that brand is the same as the name of the name? ), Is made with grapes from different plots in different terms throughout the area. 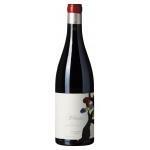 In his opinion, the most promising wines come from the end of Corullón. Some of the vines will help us understand the quality of the wines they produce, like other famous vineyards such as L'Ermita in Priorat, The Coulée Serrant in the Loire and La Côte-Rôtie Landonne. Exhibition south, old vines, clay-limestone soils schistosomiasis ... According to Alvaro "in 2001 there is a change in the line of wines, as they probably fail to do Bierzo and focus on Corullón, producing some wines from specific farms within a period of Corullón. All this is still undecided, as we all items in the barrel and not all defined. But the quality and personality of 2001 is fascinating. "